Homecoming week is a chance for Owls to honor the past and celebrate the future. Since 1965 we have been welcoming you back home to FAU. Over the years our Owl family has grown to 160,000 strong. With ground breaking research, academically talented and diverse student body, and nineteen Division I sports, there is no better time to be an Owl! No matter where life takes you, home is always FAU! SATURDAY, NOVEMBER 10 / 2 - 4:30 P.M.
Join alumni, family, and fans at the Forkas Alumni Center 2 1/2 hours before kick off for a Homecoming Tailgate In Paradise! $12 Menu includes entrée, three sides, dessert, and soft drinks. FREE beer to Alumni Association members courtesy of alumni-owned Islamorada Beer Company! Cash bar available to non-members, including $10 bottomless beer. Live band, bounce house, corn hole, and paradise vibes included! SATURDAY, NOVEMBER 10 / KICKOFF AT 5 P.M. 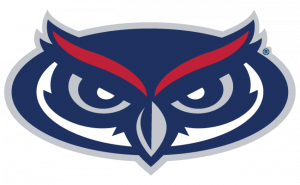 Cheer on the Owls as they take on the Western Kentucky Hilltoppers at FAU Stadium! Need FAU gear for the game? Stop by the FAU Bookstore or visit https://www.bkstr.com/faustore/home. The Marleen and Harold Forkas Alumni Center Tenth Anniversary! Your home away from home, the Marleen and Harold Forkas Alumni Center, is celebrating its tenth anniversary this year. We invite you to celebrate all that is FAU at our Tailgate in Paradise 2.5 hours before FAU takes on WKU. Welcome Home the 2008 Motor City Bowl Champions! Join us in celebrating the ten year anniversary of the Owls win over the Central Michigan Chippewas (24-21). The game was played on December 26, 2008 at Ford Field in Detroit, Michigan. The underdog Owls from the Sun Belt Conference was led by game Most Valuable Player Rusty Smith. Join our 2008 Motor City Bowl Champions at the Tailgate in Paradise on November 10 at the Forkas Alumni Center! 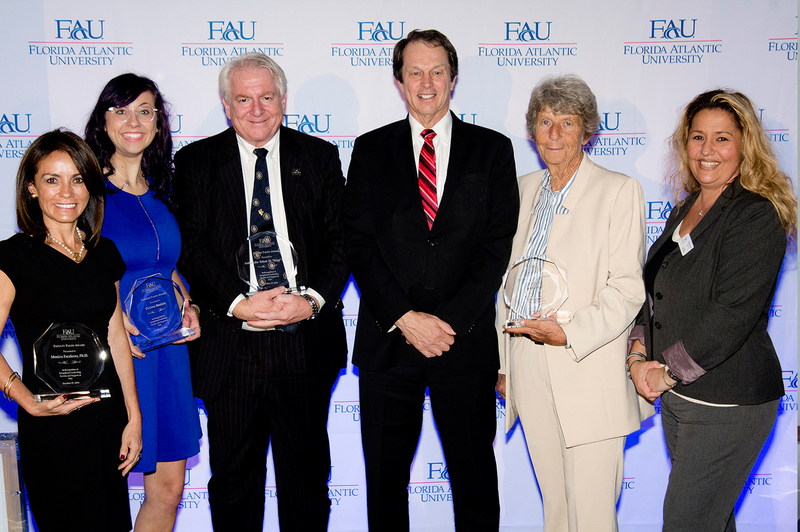 Established in 1997, The Talon Leadership Awards unite alumni, students, campus and community leaders in a celebration of leadership, support and service to FAU. Talon Awards are presented in four categories: the Alumni Talon Award, the President's Talon Award, the Student Talon Award and the Faculty Talon Award. 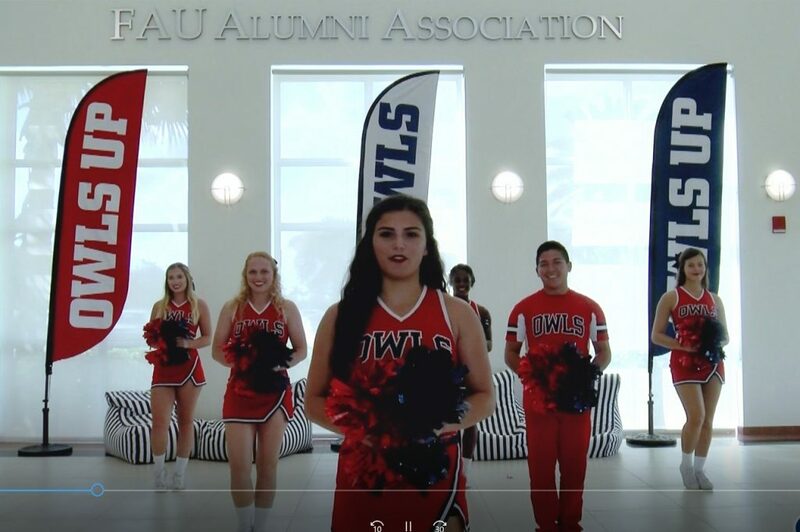 Brush up on the FAU Fight Song! Owlsley wants you to know all of the words for Homecoming! Forkas Alumni Center 10 Year Anniversary! 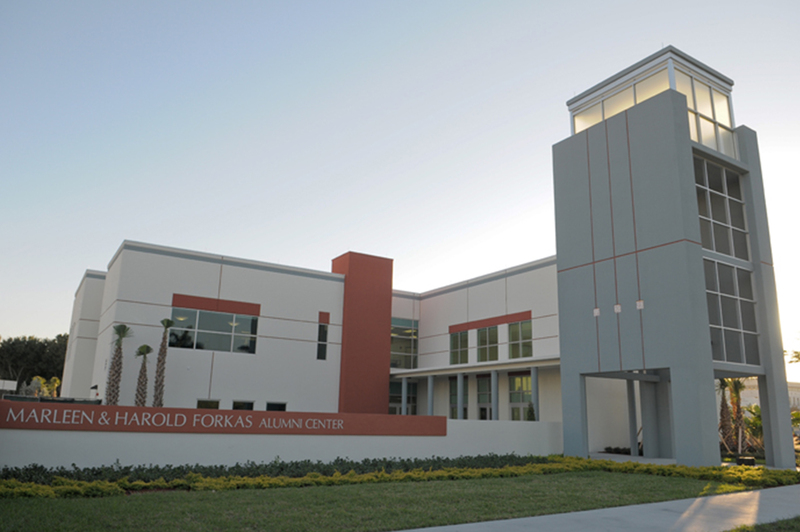 As the permanent, home away from home for Florida Atlantic University’s ever-growing alumni constituency, and a gathering place for a variety of university-wide traditions and celebrations, the Marleen & Harold Forkas Alumni Center is a focal point on the Boca Raton campus. 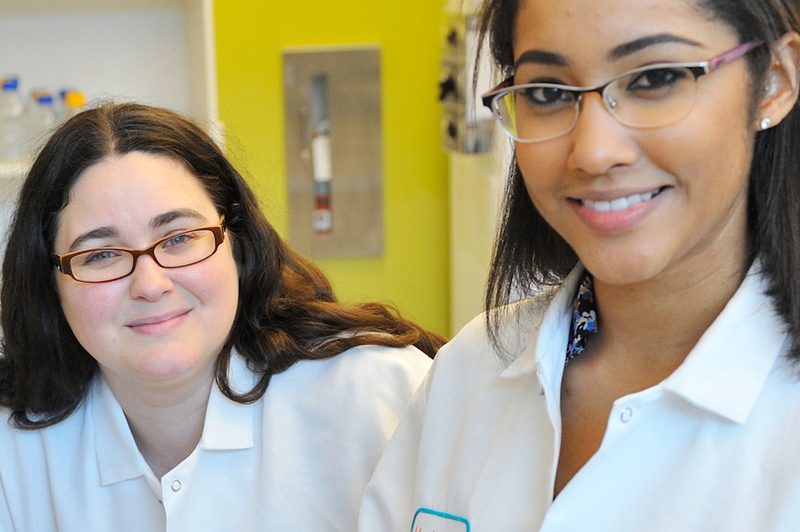 The Kelly/Strul Emerging Scholars Program at FAU was created by President John Kelly and First Lady Carolyn Kelly, and Boca Raton philanthropists Aubrey and Sally Strul, and provides financial resources and support to first generation, low-income undergraduate students. 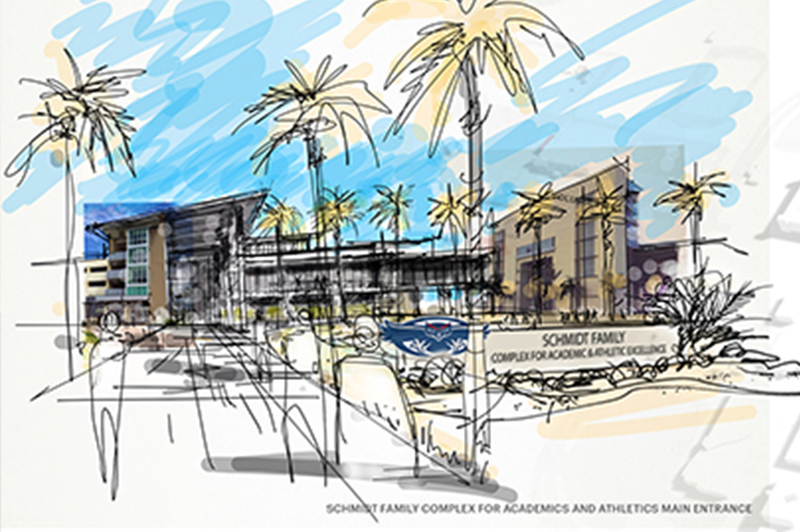 The Schmidt Family Complex for Academic and Athletic Excellence will play a central role to elevate FAU's academic and athletic standing while helping student-athletes reach their greatest potential. 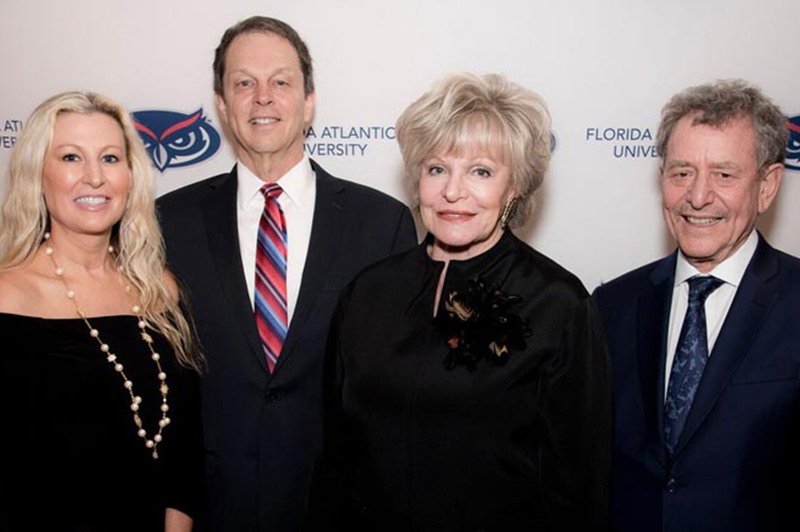 The facility received initial funding of $16 million from the Schmidt Family Foundation, the largest single gift in FAU's history. Florida Atlantic University President John Kelly, Max Planck Society President Martin Stratmann, and David Fitzpatrick, CEO of the Max Planck Florida Institute for Neuroscience (MPFI), announced a new partnership between FAU and MPFI to establish an undergraduate honors program in neuroscience that will be the first of its kind across the globe on December 11, 2017. Join 160,000 alumni in supporting the future of FAU!